When Buying a Las Vegas Home using a VA Loan, here is what you need to know. Purchasing a home with a no money down - VA backed mortgage is a benefit dutifully earned by our service men and women. Unfortunately it can be a challenge if you or your Buyer's Agent aren't prepared. You may have already heard the 'war stories' from others, or if you've been in the market, experienced them yourself. So let me explain some of the causes, then some solutions. VA Home Loans have often developed a a stigma that isn't necessarily true. Still, these misconceptions can cause listing agents and homeowners to not even review or accept any VA financed offers, or have some buyer's agents shying away because they may be under the impression they're less likely to be accepted. This can limit your available home selections, or possibly have you considering to opt out of your earned VA benefit. The presumed problem starts with VA's non-allowable fees. These are items that the VA home buyer is not allowed to pay via the terms of the VA loan, and if included, someone else must pay them. That sounds great to VA buyers, but not so much to the sellers. These non-allowables include possible lender fees and buyer closing costs which can add up, putting a big dent into a seller's bottom line. Buyers agents may also be told by a lender that they'll be 'stuck' paying them if seller refuses to contribute, which may have them shying away from getting involved with a VA Loan. 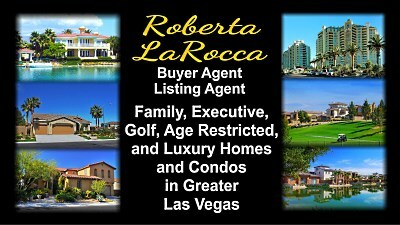 For any type of sale, asking for the seller to contribute can be somewhat iffy in an active home market like Las Vegas. There is still a relatively low inventory and the most desirable homes will attract multiple offers. Asking for closing costs can send up a red flag for any home seller. While that can always be countered by a homeowner, it becomes more of an issue for a VA Buyer who cannot pay these expenses. 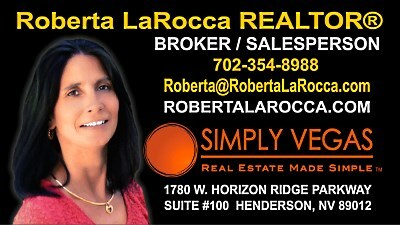 You also have to remember that the Las Vegas home market is still rebounding from it's peak pricing. The limited homes coming on the market may have limited equity with just enough room to squeeze out normal seller costs. Throw in paying additional buyer fees, closing costs, or other expenses and that can kill an offer. Next is the belief that inspections are more difficult, VA Loan appraisals are more conservative, and will have closing delays. In Las Vegas, typically the only additional VA required inspection is for termites, and a minimal expense for that. Appraisals for all types of loans have been somewhat unpredictable, but have been stabilizing as the Las Vegas housing market has done the same. As for closing delays, I've had clients tell me that even non-VA home buyers they've spoken with had said 'their homes never closed on time'. I haven't had that issue, and feel it's most likely caused from someone dropping the ball. I stay on top of the sale, making sure that all parties involved have the documents and forms in place, whether on my end or not, and that seems to keep everything on track. So let me give you an example of solutions with a VA home sale I just closed. My clients were previously priced out of the market during the housing boom. They had been paying years of rent with some landlord maintenance issues and a few moves along the way. Now they were ready to start their search in today's affordable Las Vegas housing market. After looking at a handful of homes and making some adjustments to their search criteria as they went, they found just the right home that fit their needs and their budget. Built in 2003 in Southern Highlands, it had a location and floor plan they liked. Plus a back yard facing a recessed greenway and trail, providing some convenient fitness opportunities while adding to their privacy. The first issue was for the sellers to be persuaded to even look at a their VA offer. The seller's stumbling block was concern over the appraisal. Their agent made them aware that one comparable home sale, actually the same model, had 'sold' in the previous 90 days for what appeared to be a ridiculously low price. While this could affect any financed sale, it just added to those presumed fears of VA appraisals being more conservative. With any raw data, be it from the online websites, or in this case, the local MLS, there can be something that requires more, or should I say correct and specific information. My own research turned up the cause, and why it shouldn't be a problem. It turns out this comparable home had been under contract for a very long period. It had sold at reasonable market price for a foreclosed property at that point in time. BUT, the foreclosed homeowner filed a lawsuit that delayed the actual closing, with that recorded sale finally turning up in the records. During the time the property was in litigation Las Vegas area home prices had rebounded dramatically. This 'sale' price didn't reflect current home market pricing. Explaining that, and how the offer would be structured, convinced the listing agent to talk to the homeowners. They reviewed and accepted my buyer's VA offer. It didn't include the sellers paying closing costs, and the only non-allowable fees, including HOA and termite inspection costs they would pay, were less than $500. After the home inspection the sellers also agreed to take care of of my client's repair concerns, something less likely if high seller contributions had been involved. Another big difference was the result of my client's lender. Just as with real estate agents or any professional, the level of service and what they can provide isn't always equal. While I never select my buyer's lender, I do suggest they shop a bit to find the one that works best for them. Their first choice had been with a major bank, and they ended up with a fairly common experience, a general lack of communication. Calls and emails weren't returned, or they were being routed to someone else who couldn't give them any answers to their questions. Feeling lost in the shuffle they decided to look elsewhere. 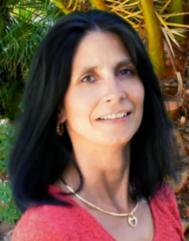 I had provided them with 2 lenders my other clients had chosen to use for previous loans, but not all were VA. This gave them options to select which lender would be right for them. Here is where they discovered how different loan officers and companies can be. One created a fear that it was impossible to not have the seller cover all the non-allowables, including closing costs and their lender fees, which the buyers knew would kill their deal. The other loan officer replied that they could cover these expenses by the combination of their company not charging the non-allowable lender fees, and their closing costs covered by lender provided credits. They obviously chose the second lender, rather than giving up a home they really liked, and starting over. I'd also add that these VA buyers were impressed with this loan officer's communication as well as my own. In my experience these individual mortgage brokerages tend to have much less bureaucracy and pay more personal attention to their clients. Their loan officers also tend to be at title signings to answer any questions, a rarity for the larger banks. As you can see, having these solutions created positive results for my VA home buyers. Using VA didn't greatly limit their home selection, add to the frustrations of their offer not being accepted and having them starting over or 'settling' for some other home that they may not have liked as well. My clients were able to get into a great home that they wanted at a great price, with repairs made, even when the sellers were originally reluctant to accept a VA offer. My research on the seller's concerns, along with my buyers making a 'clean offer', one that required very little of the home sellers, made it all come together. The doubts on the appraisal? Well that also wasn't a problem, it was able to cover the listing price. Actually the appraisal went OVER by $35,000, which made my buyers pretty happy. Oh, and those delays of closing a VA mortgage loan? By staying on top of everything the sale closed early, which left all parties involved very pleased. Handing them the keys, my VA buyers said this all went very smoothly, ending their own concerns created by VA loan war stories they had heard. Because of how I handled the transaction, the listing agent's brokerage extended an offer to join them. 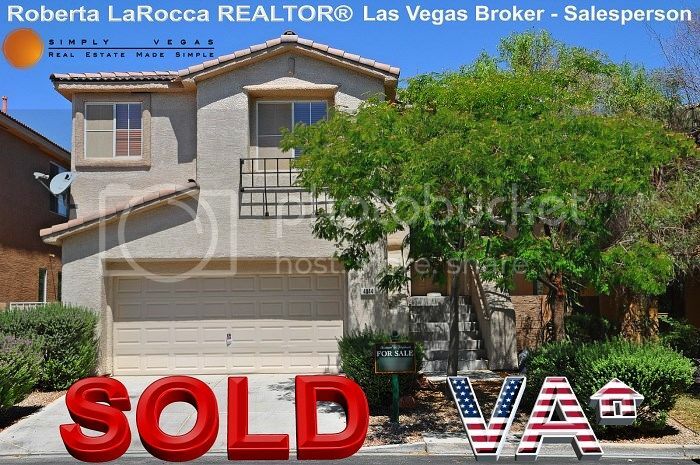 While appreciated, I'll continue with Simply Vegas Real Estate as it allows me to offer my clients the service I feel they should expect from their real estate agent. Being that it's a boutique brokerage, we're not so large to create that lost in the shuffle feel, but it has the professionalism and structure to transact so many of the top Luxury Las Vegas homes. This allows any of my clients to receive that same 'million dollar service', something our veterans surely deserve for their own service and sacrifices. While purchasing a home with a VA loan can have it's challenges, the same can be true for any home sale or listing. Each has to be examined individually, and met with potential solutions. The issue of asking for closing costs, or not, can turn up with any home sale. It really depends on the current local market conditions all the way to the specific situation of the individual home and parties on both sides of the sale. Increasing your options with a bit of knowledge by having someone to help guide you through making your best choices can help eliminate any home buying, or selling, frustrations.